This refers to a blockage in the flow through an artery; certain lifestyle factors such as smoking, obesity and poor diet can increase the risk. Inflammatory tissue builds up on the inside surface of an artery forming a plaque; in serious cases this can lead to a stroke. 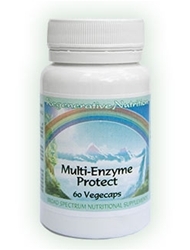 This is a serious condition that should be discussed with your doctor, but we would strongly recommend the natural product Serrapeptase which digests non-living tissue, blood clots, cysts, arterial plaque, inflammation, internal scar tissue. The late German physician Dr. Hans Nieper used Serrapeptase as a treatment for arterial blockage in his coronary patients. 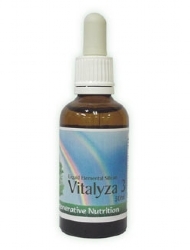 It protects against stroke and is reportedly more effective and quicker than EDTA Chelation treatments in removing arterial plaque. He also reports that Serrapeptase dissolves blood clots and causes varicose veins to shrink or diminish. Dr Nieper tells of a woman scheduled for hand amputation and a man scheduled for bypass surgery who both recovered quickly without surgery after treatment with Serrapeptase. 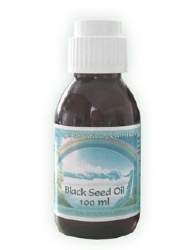 It is a natural anti-inflammatory and as a strong protease can dissolves the dead proteins that bind the plaque blocking the arteries. Serrapeptase does not thin the blood, but simply makes it healthier by stopping the chronic inflammation. 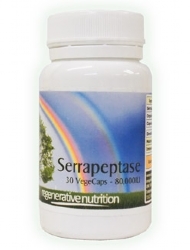 Serrapeptase is a natural product that can be taken safely in both the short and long term and will not interfere with other medications, no side effects have been found in any of the huge number of studies and clinical trials – in some cases people have taken 30 capsules a day with no ill effects. Serrapeptase has had wide clinical use, spanning over 30 years throughout Europe and Asia. In Germany and Austria, Serrapeptase is available on prescription. Millions of doses have been taken worldwide with no side-effects, it can be taken alongside any other medications, and may reduce or completely eliminate the need for commonly prescribed synthetic drugs. Our Repair Tonic Formula contains a range of natural remedies to help repair the arteries including Lysine, Proline and Serrapeptase; in cases of Carotid Stenosis, topping up with an additional quality of Serrapeptase would be preferable. The supplements recommended for the treatment of Carotid Stenosis are listed below. Not all will necessarily be discussed in the article, as some may have been added after the article was posted. If a listed supplement is not mentioned within the article, or you wish to know more about any of the listed supplements, you can find out more information by clicking on that supplement below. You can also now add to your basket directly from this page.